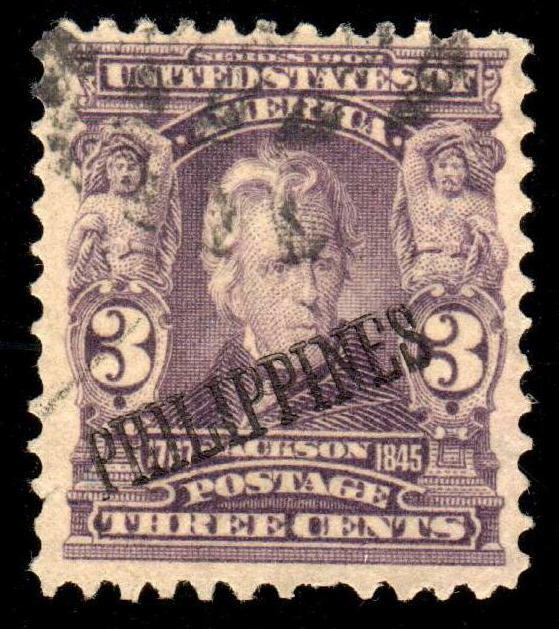 The purple 3¢ Andrew Jackson stamp was placed into circulation in March 1903. 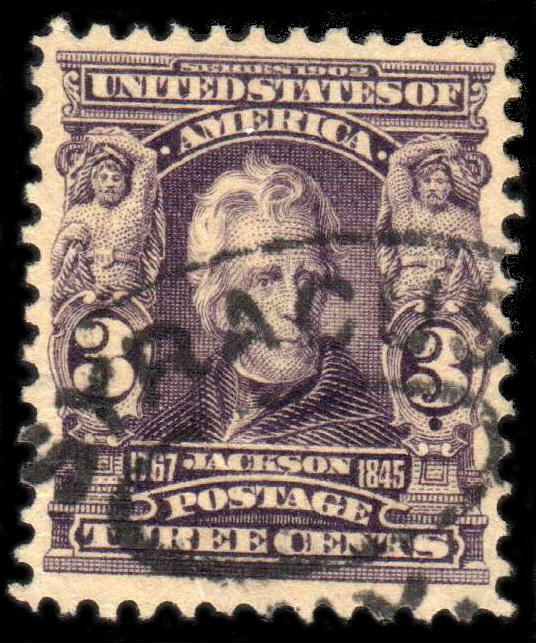 During the reign of the 2nd Bureau series, there was no 1st class solo franking opportunity for the 3¢ Jackson denomination. 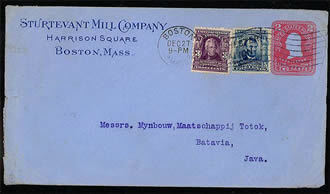 The stamp found uses combined with other stamps or stamped envelopes. Less common frankings include 3rd and 4th class mails. Double UPU rate to Java. 4th class cloth sample cover.